This plush loveseat has dual recline capability and a relaxed, plush look sure to fit perfectly into your laid-back, comfortable home. 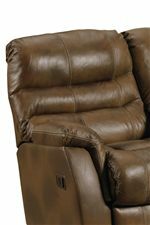 Two people can enjoy the gentle reclining motion and pillowed support of a traditional recliner side-by-side. 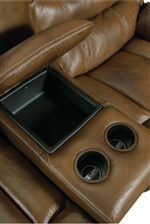 Excellent as seating for your living room or home theater, this softly cushioned loveseat is is filled with high density foam and fiber fill guaranteeing that your recliner will be consistently comfortable durable. This loveseat is also available with power recline at an additional charge. 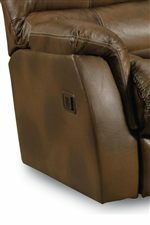 The Garrett Casual Garrett Double Reclining Loveseat by Lane at AHFA in the area. Product availability may vary. Contact us for the most current availability on this product.